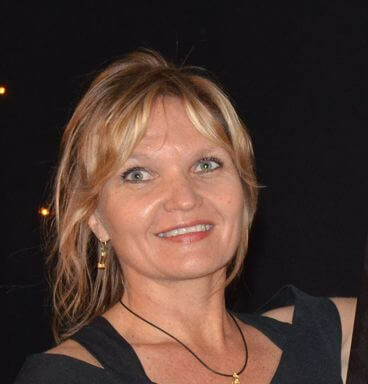 Today, we are talking with Gitta Paetzold, CEO of the Hospitality Association of Namibia about the the challenges and joys of the Namibia Tourism Industry. The Hospitality Association of Namibia has since its inception in 1987, grown from an initial 16 members to a total of close to 400 members. H·A·N represents the full spectrum of the hospitality industry, from hotels, to guest houses, guest farms, lodges, rest camps, restaurants, conference centres and catering services. Over the years, more and more tourism and hospitality related businesses also joined the Hospitality Association, making H·A·N a true umbrella-body and an important factor in the tourism & hospitality industry of Namibia in general. What is your favourite thing about the tourism industry in Namibia? Tourism has an amazing way of bringing people of different cultures, backgrounds, professions, and aspirations, together, who are then unified by the same basic needs, which are to eat, sleep & move. Through the interaction with people outside their normal sphere of work, there is much larger scope for cultural exchange and focus on the human element. In Namibia, tourism is also closely linked to the country’s flora & fauna. As Namibia sells itself as a country of wide open spaces, and many travelers come here to view & enjoy the beauty of our environment, – something that we treasure, and are all involved to a certain extend to help preserve, – hence tourism allows us to be part of conservation efforts too, – so it is an all-encompassing, multi-faceted engagement, allowing for constant learning and widening of horizons in terms of cultural interchanges, bio-diversity challenges as well as interpersonal skills on demand daily, in addition to the need to remain on top of international technical and marketing trends, to remain on top of the game. What do you think are the biggest obstacles/challenges facing the tourism industry in Namibia? Is it growing? Statistics just released by the MET certainly show steady growth in tourism, and private sector has confirmed this too. The last 18 months have been particularly promising, with a number of major international events taking place in Namibia, putting Namibia on the map as it were as a tourism destination of choice. Accolades such as the 6th most popular destination, voted for by New York Times in late 2013, and Lonely Plant ranking Namibia TOP as family destination, and second only to Singapore in terms of destination of choice in October 2013, speak volumes as to the role Namibia plays in international tourism. Much effort has gone into getting our country to rank that high, from NTB marketing efforts in Europe, and elsewhere, the North American Destination Marketing Campaign between 2010-2014 through the MCA Compact, as well as constant and thorough engagement & interaction of individual companies, operators and agents serving in or selling Namibia as destination across the globe. Almost more important than seeing growth in arrival numbers is the fact that the tourism industry infrastructure in Namibia has grown and diversified over the last decade. You only need to look at the construction of hotels, (Hilton, Strand), new lodges, (Hoanib Camp by Wilderness Safaris), expansion of Gondwana Collections and a number of exciting new joint ventures by Namibia Exclusive Safaris, which enables tourism to expand into the yet untouched & barren community “hinterland” of Namibia, and through marketing and packaging of these new products with existing products, – the development of new tourism routes, (Arid Eden, 4 Rivers Route, Omalunga Palm Route and others, ) the offering of Namibia has expanded tremendously, – ensuring that even repeater-tourists to this country have something new to discover every time, – while more and more people within our country are brought into direct contact and become engaged in Tourism, – something that we for a long time already have said ..”is everybody’s business”. What is Namibia’s most popular attraction? Why do think so? While there are certain flagships within Namibia, that are on the “must-see /must do” list of most travelers, such as a visit to the Etosha National park, or climbing the highest dunes in Sossusvlei, Namibia is NOT sold by one attraction or one activity alone. It is the combination and packaging of Namibia that makes it a unique destination and gives it a strong selling point. Global visitors could visit other national parks of a similar animal-viewing experience, as in the Etosha, (Kruger Park in SA, for instance), but it is the element of authenticity, the rugged landscape, the undiscovered beauty, and the diversity that Namibia offers as a country, that attracts people. So you can combine game-viewing at big scale, with a visit to the highest dunes in the same trip, Namibia offers wide open spaces and soulful, liberating experiences under African starlit skies, while also able to offer a diversity of colorful encounters with a diversity of cultural groups & people through the community tourism products developed. So I believe Namibia’s diversity is its biggest selling-point. If there was one thing you could make sure never changed in Namibia, what would it be? Authenticity – keeping it real. We should never try to copy other countries in what they do, as by doing so, Namibia may lose its charm. While I am all for certain regulation and quality control, – Namibia should guard against over-regulation, and copying the standards of other destinations, – – we should for instance not insist on air-conditioned rooms across the country, – if there are other means of construction of ventilation, that work wonders, (construction of clay-huts in the rural area and matching these to some international standard in terms of the basic amenities (ablution, bedding, ventilation, etc) would serve our image much better, than mass-construction of tin-roof bungalows.) Innovation & incorporation of our national culture & heritage is key to keeping it authentic & Namibian. If there was one thing that you could change about the Namibia Tourism Industry, what would it be? Both these perceptions are hampering real inclusion and participation in the tourism industry for the right reasons. Do you think technology has changed the way people view Namibia, or are there still a lot of misconceptions regarding Namibia, as a country? I believe technology has helped to put Namibia on the map, as the marketing and awareness efforts via the internet, through websites and e-brochures have helped educate the world out there on the geographical, physical and natural wonders of Namibia, while at the same time demonstrating that Namibia has the modern and technologically advanced capacity to compete with international destinations. Social media has assisted in promoting the “word-of-mouth” promotional element, that is so important for tourism marketing for Namibia, because while Namibia has spectacular scenery and natural beauty, it is very often the human element and the personal experiences of the people that make this destination stand out. Namibia has stunning attractions for photo-travelers, its unspoiled environment put on print somewhere evokes great admiration and these elements transmitted and distributed via the technology of today (be it television, websites, internet, etc.,) has helped greatly to put Namibia on the map. But the beauty of it is this: That when people then come here, to Namibia, there is that great desire to cut all ties with technology and experience the beauty of this seemingly untouched, natural, rugged and liberating place in its pure form. We hope you enjoyed this time with Gitta, learning more about the tourism industry in Namibia. We certainly did!